According to the latest analysis from Steam Spy, more than a third of all games currently listed on Steam were released this year. And this is without considering there's still just under a month of game releases to go in 2016. Steam Spy's figures say that a whopping 4,207 games were released on Steam in 2016, considerably more than any other year in the platform's history. The amount of game releases this year will surpass 2015 by well over a thousand, and will crush the mere 565 games that launched on Steam in 2013, just three years ago. The data from Steam Spy includes Early Access titles, but does not include downloadable content, movies, and software that can be found on Steam. Early Access is a likely contributor to the explosion of Steam releases from 2013 onward, as Early Access debuted on the platform in March 2013. The service allows indie developers to release in-development versions of their games on Steam for feedback and sales, and has produced a number of popular titles, most notably DayZ, Don't Starve, and Dirt: Rally. The huge number of Steam releases in 2016 has prompted Valve to modify their Store with features that make it easier to find popular and interesting games. 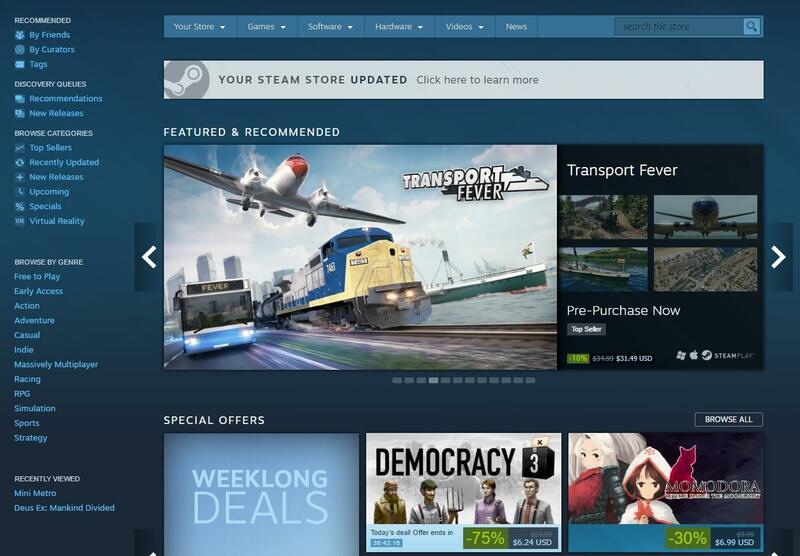 Most recently, Valve revamped the Steam Store homepage to heavily rely on recommendations and curators, rather than simple lists of new releases.